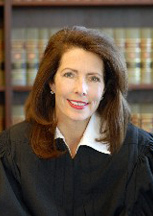 We previously discussed the scandal surrounding Michigan Supreme Court Justice Diane Hathaway who was accused of an array of misconduct leading to her resignation from the Court. Many of us wondered why she had not been hit with a criminal indictment. Now she has. Only a few days before leaving the court, Hathaway is now officially indicted of fraud. She is accused of committing fraud to avoid a $600,000 mortgage debt. She is also accused for engineered a very shady short sale on a $1.5 million lakefront home. The charges follow an investigation into the dealings of herself and her husband, attorney Michael Kingsley. Hathaway is accused of claiming to a bank in 2010 she was retiring — and would lose her $164,610 annual salary. In this way, Hathaway allegedly claims financial hardship to dodge the debt to ING Direct on her home. However, hardship is hard to make out with massive assets so investigators say that she and her husband transferred two homes to Kingsley’s children and Hathaway gave a third stepchild $195,000 cash to buy another home. Yes, you guessed it, she then moved into the home. Their prior home was transferred to Kingsley’s daughter on a short sale and then got it back in an exchange for $10. There is a federal effort to seize the home as part of a civil forfeiture process. This is particularly ironic since Hathaway served as a Macomb County Assistant Prosecutor, 1987-1993, including service as Chief of the Drug Forfeiture Division. On Friday, the Justice Department filed a criminal “information,” a prelude to a guilty plea in federal court. She was scheduled to resign today. The short sale is particularly interesting. The 2011 deal with the bank erased the couple’s $600,000 debt in Michigan and then, five months later, the couple regained ownership of the home for $10. Hathaway is accused of making false statements to ING Direct and concealing wealth to portray herself as in financial duress. She could face 30 years on the charges but will likely get a light sentence in a plea. It would be highly controversial however for her not to spend some time in jail. She sat on cases of criminals sent away for long sentences for a fraction of the over half million dollars involved in her alleged fraud. Hathaway, 58, will retire today and presumably appear at some point in court to admit criminal acts at a later date. She was only four years into her eight year term. I think I may have said this before, but I think anyone holding an office of public trust (judges, LEOs, etc.) should automatically be subject to the maximum penalty when found guilty of a crime.